The greatest superhero in the Marvel Universe will be joining the Freeform network in 2018. Going straight to a 10-episode series, New Warriors will center on Doreen Green aka Squirrel Girl leading, living, and working with five other as-yet unnamed heroes. Put it that way, it almost sounds like a super Friends. With powers and abilities on the opposite end of the spectrum of The Avengers, the New Warriors want to make a difference in the world…even if the world isn’t ready. The Hollywood Reporter got the exclusive announcement this morning. No one has been cast, though two actresses have publicly let it be known they want the role. Both Anna Kendrick and Stranger Things’ Shannon Purser would like to be Squirrel Girl. It even sounds like Freeform’s head of development is a fan, going into the meeting with Marvel wearing a Squirrel Girl hat. Allegedly the network aimed at “Becomers” had wanted to do a Squirrel Girl series even before they started working with Marvel on Cloak and Dagger. Kevin Beigel looks to be the official creator and showrunner, and he has a CV that strikes the right balance of comedy and character drama — if not superhero action. Before Freeform entered the picture, Marvel was interested in Beigel, who worked on Scrubs, Cougar Town, and Enlisted. It may be harder to say “it’s all connected” with Marvel going for an all out comedy, and again, all talk of Damage Control seems dead. But at least New Warriors will share a network with Cloak and Dagger, though it’s too soon to see if they’re going to cross over. …are all really singular and could each carry the show that they’re on. They’re bound together as a band of underdogs for as long as we choose with this show but it’s conceptually tailor-made for spinoffs. Who might they be? 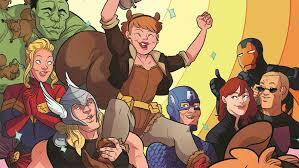 In the comics, Squirrel Girl has never been a member, though she was briefly tied to a licensing effort of “weird” heroes before she exploded in fandom. 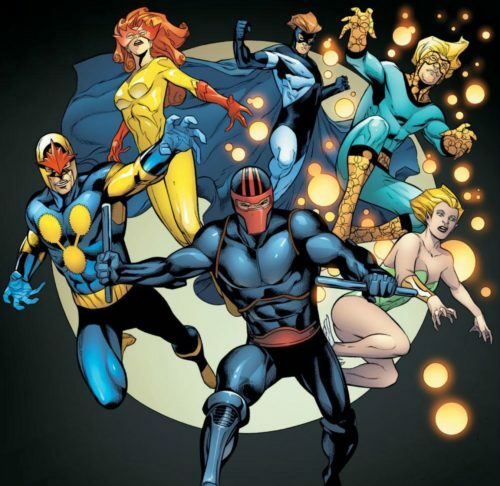 The team was originally led by Night Thrasher (a sort of skateboarding Batman), and has had several “young adult” members — including Firestar (created for Spider-Man and His Amazing Friends), Namorita (Namor’s young cousin), Nova (could be a tie-in to the Nova Corps in Guardians of the Galaxy), Justice (a young telepath/telekinetic), and the unfortunately named Speedball (who actually could make a great visual). Who should be on the television New Warriors? 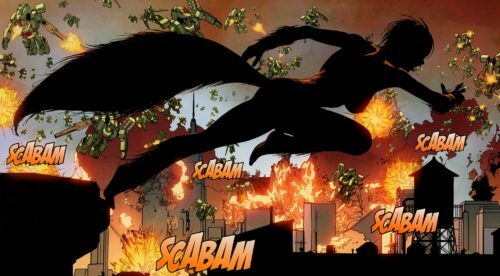 Freeform not telling us yet gives plenty of time for fan speculation, so… fire away!